This was my first attempted at capturing the Milky Way and it just happen to coincide with the Perseid's meteor shower this year. I hiked up to this spot above the fog to catch the shooting meteors and the Milky Way together. 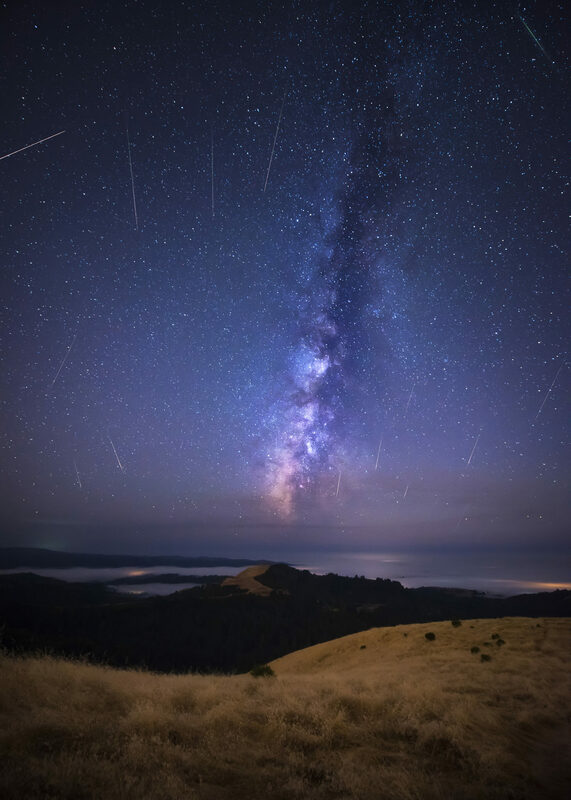 It's a composite of one Milky Way capture and then a bunch of meteors throughout the evening.